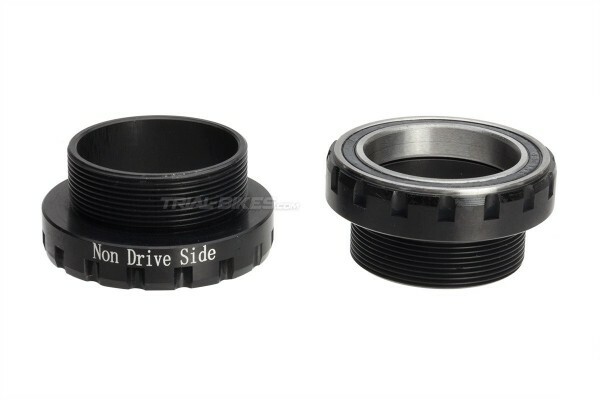 - Replacement bottom bracket cups from Asian brand Racing Line. - Two versions available: a threaded version (for threaded bottom brackets) and a non-threaded version (for Spanish-type bottom brackets). - The BB30 version features a standard 1.37”x24tpi thread, and is suitable for Hashtagg BB30, Try-All BB30 and Racing Line BB30 cranksets. - The Spanish version is suitable for Echo Spanish and Play Spanish bottom brackets. 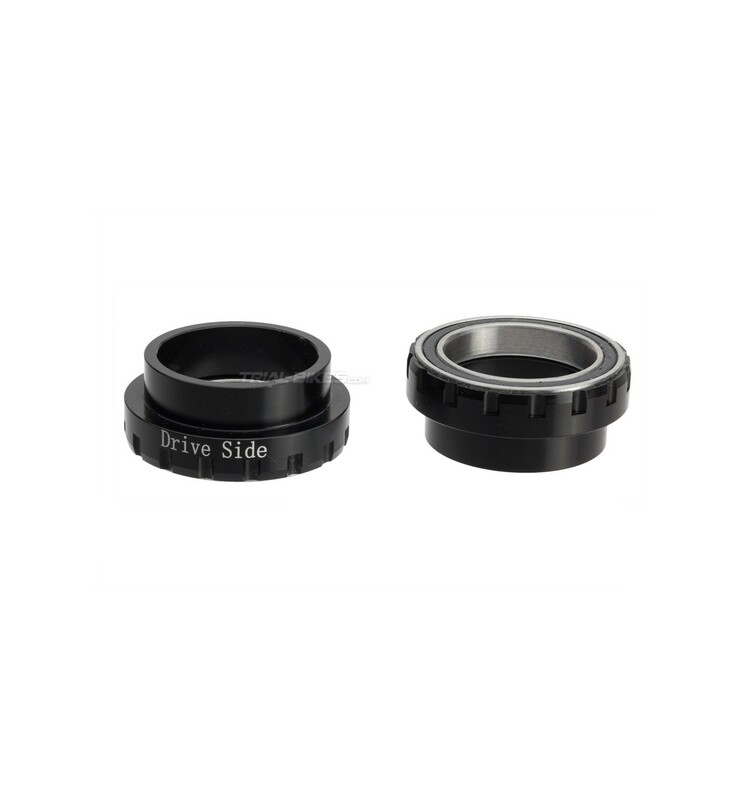 - Each cup includes a high quality sealed bearing. - The cups are made from a single piece of high quality 6061-T6 aluminium alloy, which allows for considerable weight saving and increased strength. - Sold as a pair, enough for 1 bottom bracket. - Anodized black finish, with “Drive Side” or “Non Drive Side” graphics for each cup. 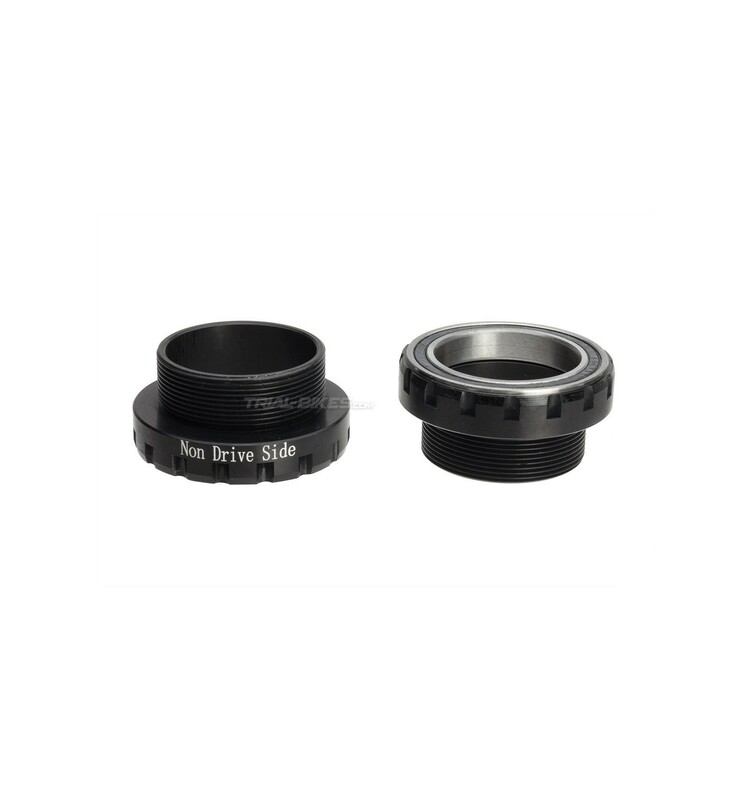 · Choose the threaded version if you use a BB30 bottom bracket. · Choose the non-threaded version if you run a Spanish-type bottom bracket.